PRO_SAP hardware and software requirements - 2S.I. Software e Servizi per l'Ingegneria S.r.l. CPU: Intel Pentium© 1000 Mhz or higher (similar or compatible processor). Memory (RAM): 512 MB or higher (check the Operating System for minimum requirements of RAM). Occupied space on Hard Disk: 500 MB. 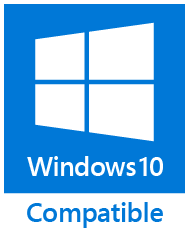 Operating systems (32bit and 64bit): Microsoft® Windows 10 / 8.1 / 7 / Vista. CPU: Intel i5 / i7 / i9 / Xeon – AMD Ryzen 5 / 7 / Threadripper. Memory (RAM): 8 GB or higher. Video Card NVIDIA Quadro class. SSD Hard Disk (Solid State Disk). Operating systems (64bit): Microsoft® Windows 10 / 8.1 / 7 / Vista.